Thread: Is there a name for this method? I want to make a square look rounded. To me it is a variation on the snowball block. 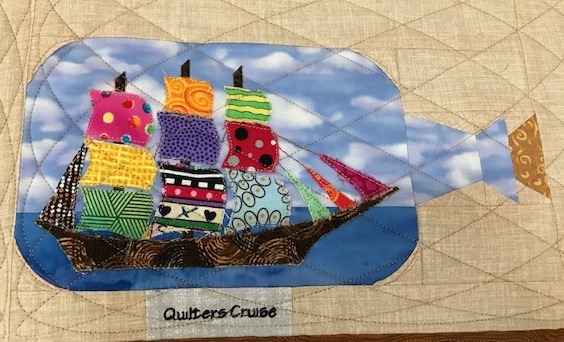 You take your small corner square, fold it in half on the diagional, place it on a corner of the block and sew the raw edges to the block using less than a quarter inch seam. 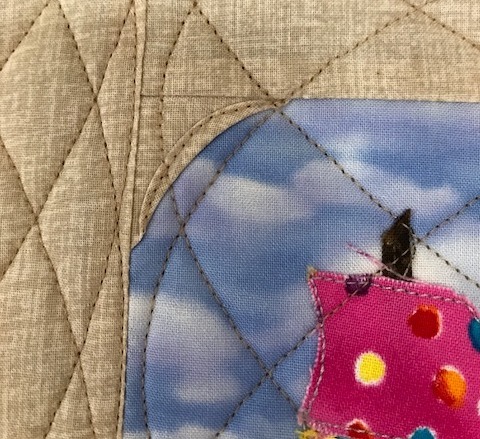 Then once the quilt block is attached to other blocks, you turn the folded bias edge of that corner square back and topstitch it down (like a cathedral window). I am trying to decide what size corner squares to use, and wanted to google for ideas, but I can not find anything. I have tried searching for folded corners, rounded corners. I did find one site calling them cheater curves, but no tips on creating them. These pictures are from a block I used it on before. I would appreciate any info anyone has on this method. I think the oringal author of the technique called it the 5 minute block and she has YouTube videos. This method is used in the cathedral window patterns. i don't know the exact name, but the previous names all sound good. Love your ship in a bottle. I can't help with the name, but it's a cool technique! Drunkard's Path, or Tea Leaf quilts would be a good use for it. Last edited by IceLeopard; 05-24-2018 at 10:19 AM. This looks very interesting. Thanks for the name. I have done the 5 minute blocks, and it is pretty much the same technique. Thanks. You take a square and fold on diagonal, place where you want in a corner, after you have sewn to another square, etc. fold back the square on the bias. Stitch down. I don't know the name, I have used it to make dragon flies and turtles, and wish I had thought of it when I made a ship in the bottle block. I just saw a Jennie Doane tutorial that used this in a fish themed quilt. Can't offer any help but love your bottle block.